WASHINGTON (AP) — Michael Flynn’s wait was almost over. The former national security adviser, about to be sentenced for lying to the FBI about his contacts with Russians, appeared confident that he was about to walk out of court a free man Tuesday morning. He had, after all, spent the past year cooperating with prosecutors, who recommended no prison time. Sharply dressed and straight-backed, the retired Army three-star general joked with his attorneys. He waved to relatives who were in court to support him, saying “Everybody made it!” He turned toward his son, Michael Flynn Jr., and made a V sign with his fingers. 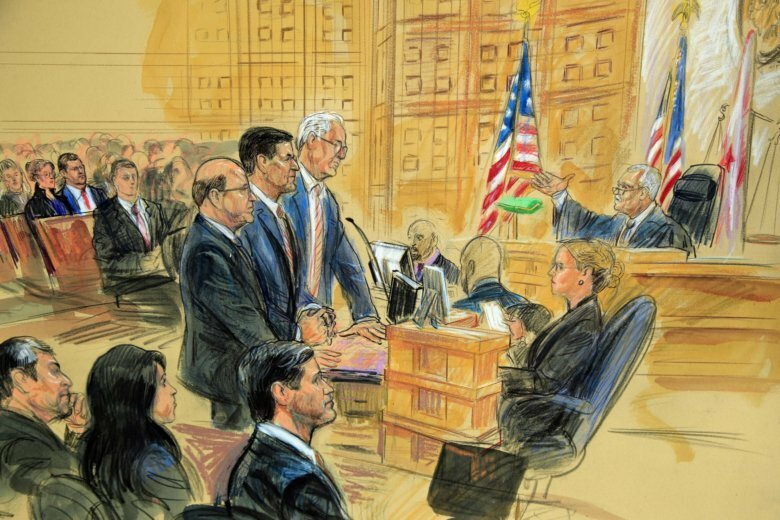 But then U.S. District Judge Emmet Sullivan entered the picture — and the carefully laid plans of prosecutors and Flynn fell apart. During his sentencing hearing Tuesday, Flynn went from a man on the verge of relief to a man shaken, his smile replaced by a tight-lipped grimace as the judge delayed deciding his fate for another 90 days so Flynn could cooperate some more. Looking down over his glasses, Sullivan hinted from the start that things weren’t going to go as planned. He upbraided Flynn for lying to the FBI — in the West Wing no less. He invoked the American flag, and said Flynn’s conduct undermined everything it stands for. And then he landed the big one. “Arguably, you sold your country out,” he told Flynn, drawing a stunned gasp from many of Flynn’s family members. With that rebuke settling over the courtroom — and Sullivan suggesting there might be prison in the general’s future after all — the judge asked Flynn if he wanted to confer with his lawyers and consider a delay. Didn’t Flynn still have a small amount of unfinished cooperation left? Did he want to get to the last bit of that before the judge imposed a sentence? Flynn retreated to the defense table, whispering with his attorneys. A prosecutor waffled when Sullivan asked if Flynn could have been charged with treason. The judge took a break. Stone-faced, Flynn left the courtroom with his lawyers. He returned, the relaxed smile gone. Faced with a judge who had just accused him of selling out his country, Flynn chose to withdraw, to fight another day, and to wait some more. Even after the judge took back a few of his more stinging comments, Flynn’s decision was firm. The judge granted the delay. Ninety more days— at least. And with that, the judge adjourned.